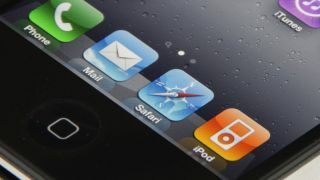 Patented features on gadgets like the iPhone have become so popular that they should now be considered de facto industry standards, according to Google. The search and mobile giant, currently embroiled in an ocean of patent litigation, says leaving certain, popular features out of its tech would be doing a disservice to the customer, regardless of IP issues. In a letter to the US Senate Judiciary Committee Google's counsel Kent Walker says some of these proprietary innovations should now become de facto standards. Consumer welfare or Google welfare? He wrote: "While collaborative Standards Setting Organizations (SSOs) play an important part in the overall standard setting system, and are particularly prominent in industries such as telecommunications, they are not the only source of standards. "Indeed, many of the same interoperability benefits that the FTC and others have touted in the SSO context also occur when one firm publishes information about an otherwise proprietary standard and other firms then independently decide (whether by choice or of necessity) to make complementary investments to support that standard in their products. "Because proprietary or de facto standards can have just as important effects on consumer welfare, the Committee's concern regarding the abuse of SEPs should encompass them as well." Naturally Apple disagrees with Google's stance on the issue, as it would, considering the huge raft of complaints it has against the Android operating system. Apple General Counsel Bruce Sewell argues that just because "a proprietary technology becomes quite popular does not transform it into a 'standard' subject to the same legal constraints as true standards." Sewell also highlighted the billions spent by Apple in order to create the proprietary tech on the iPhone and says that has nothing to do with standards. He added: "The capabilities of an iPhone are categorically different from a conventional phone, and result from Apple's ability to bring its traditional innovation in computing to the mobile market. "Using an iPhone to take photos, manage a home-finance spreadsheet, play video games, or run countless other applications has nothing to do with standardized protocols. Apple spent billions in research and development to create the iPhone, and third party software developers have spent billions more to develop applications that run on it. "The price of an iPhone reflects the value of these nonstandardized technologies — as well as the value of the aesthetic design of the iPhone, which also reflects immense study and development by Apple, and which is entirely unrelated to standards."